Rockwheel installation, like any hydraulic attachment installation should include a flow test and adjustment on the excavator, backhoe or skid steer loader. This assures that the attachment is receiving the correct amount of flow and that the relief pressure is set accordingly. These numbers will be different for each and every Rockwheel model and will ideally differ according to the application. 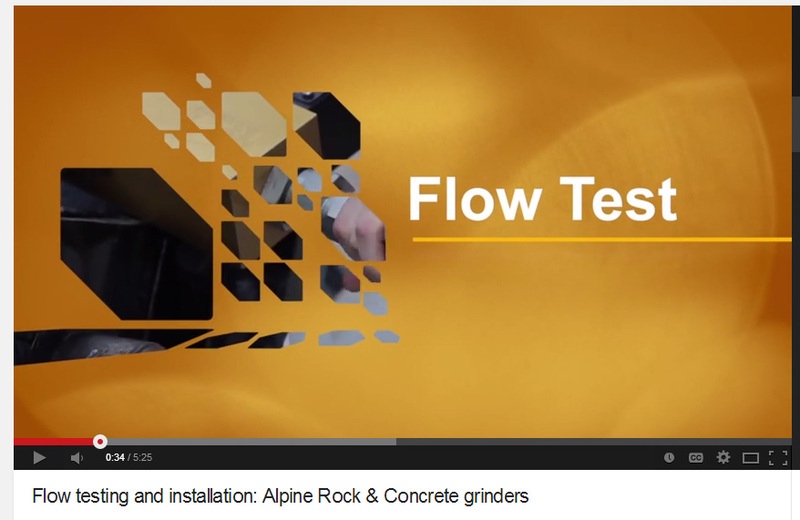 Alpine always recommends flow and pressure settings for each RockWheel that goes out the door. the excavator, backhoe or skid steer loader. This assures that the attachment is receiving the correct amount of flow and that the relief pressure is set accordingly. These numbers will be different for each and every Rockwheel model and will ideally differ according to the application. 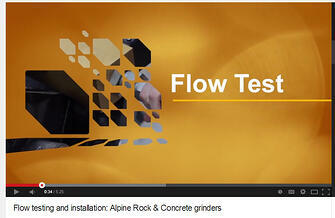 Alpine always recommends flow and pressure settings for each RockWheel that goes out the door. We made some new how-to videos to assist in set up, installation and maintenance! Whether you're using a RockWheel to cut trenches or grind concrete, this short how-to will help you keep your unit in tip-top shape.